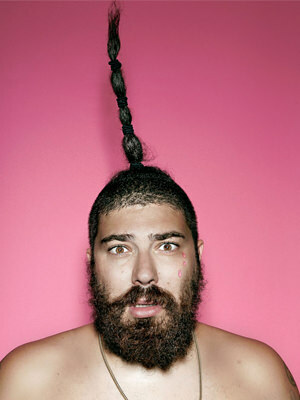 Josh Ostrovsky was born on 18 February 1982, in Manhattan, New York City USA, to Russian-born father Saul, and Rebecca, a nutritionist, and is best known as The Fat Jew – a model, writer and internet persona. So just how rich is The Fat Jew as of late 2017? According to authoritative sources, this internet celebrity has net worth of over $2 million, with his wealth being accumulated from his career in the mentioned fields. In addition to that, a portion of his wealth comes from the sales of his merchandise, such as T-Shirts, and his book. When it comes to his early life, The Fat Jew spent his formative years in Manhattan, and expressed his interest for entertainment, being a child actor in several commercials for companies such as Hershey’s. He attended New York University and Skidmore College, and after that enrolled into State University of New York at Albany, where he ultimately graduated in journalism. During his time at college, he participated in the rap trio Team Facelift, using Fat Jew as his nickname. His group released the album entitled ‘’Mixed Emotions’’ in 2006, but eventually fell through in 2012. However, he is mostly known for his Instagram account, on which he goes by ‘’TheFatJewish’’ and on which he rose to fame in 2013, posting a parody of Soul Cycle. However, his account was banned due to inappropriate content, in response to which The Fat Jewish organized a protest, which was also streamed on Vice, and only 15 minutes after the rally had started, he got his account back. His sense of humor and the large number of followers were acknowledged and praised by ‘’The New York Times’’ which additionally named him one of the most influential people on the internet. Being a notable name in the online world, he was soon paid to promote companies such as Burger King, Virgin Mobile and Apple, and became a spokesperson for Seamless, an online food ordering service in 2015. Additionally, The Fat Jew is also an actor, and has worked as a reporter for ‘’The Daily 10’’ on E!, and in 2015 he appeared in the music video for the song entitled ‘’Cake By The Ocean’’, made by DNCE, as well as in Charli XCX’s ‘’Boys’’. In 2016 he had two projects, as he portrayed Gleek in ‘’Zoolander 2’’, and Dirt Bread in ‘’Nerve’’. His project ‘’Status Update’’ will be released in 2018. In 2015, he enlarged his portfolio by signing a contract with One Management and becoming one of the few male plus size models. In September of the same year, his collection, Dad Fashion Show, debuted at New York Fashion Week, no doubt adding to his net worth. When it comes to his private life, The Fat Jew was married to Katie Sturino from 2014 until 2017, when they filed for divorce – his ex-wife got to keep all of their dogs. The Fat Jewish has often been harshly spoken of because he allegedly stole jokes from other comedians’ Instagram accounts without crediting them. He is active on social media websites such as Instagram and Twitter, and is followed by 10.3 million people on the former.